Turf Wars: How Safe Are The Fields Where We Play? 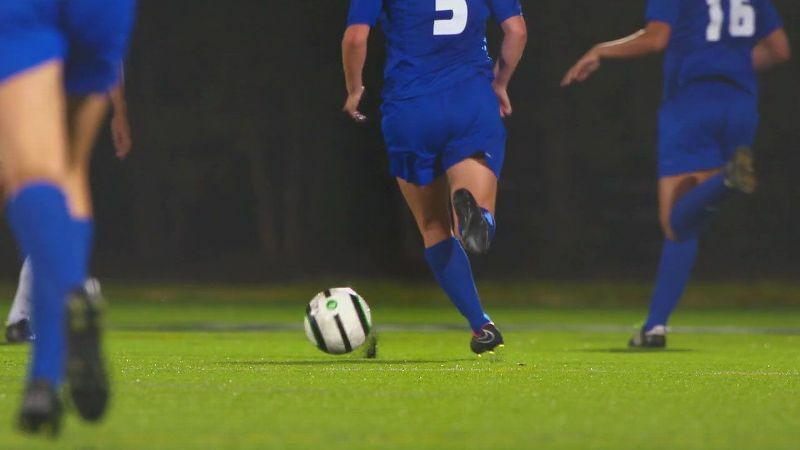 Julie Foudy of espnW investigates the health risks related to playing on synthetic fields. I remember the first time I played on a synthetic turf field. I thought, "Wow, this is amazing. What is this stuff?" It seemed so much better than that concrete-like Astro Turf that was essentially just a green, thin carpet over hard ground. I also recall, in the hotter months, seeing waves of heat (you could actually see the waves) above the playing surface. I remember a smell coming off the fields that just didn't seem right. Which made me pause for a hot second ... and then play on, like most athletes do. In 2014, I saw Amy Griffin's list. 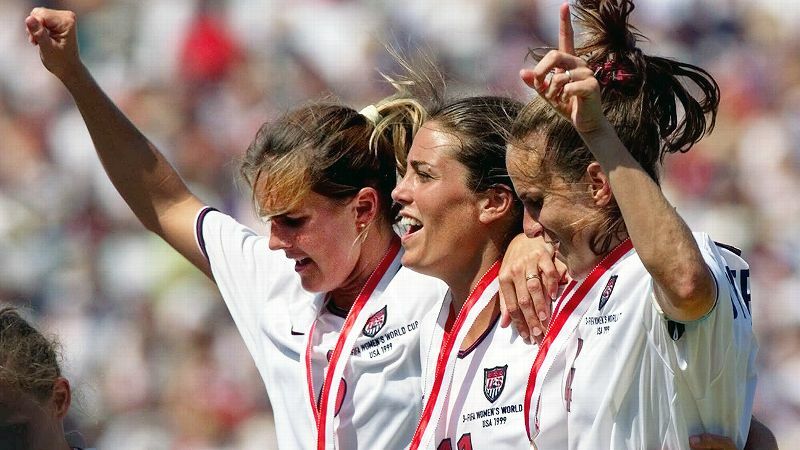 Five years before, the former U.S. women's national team goalkeeper and current University of Washington goalkeeper coach had started gathering a list of athletes who had played on crumb-rubber synthetic turf and had been diagnosed with cancer. She started the list when two goalkeepers she knew with lymphoma had suspected it may be from "those black dots." 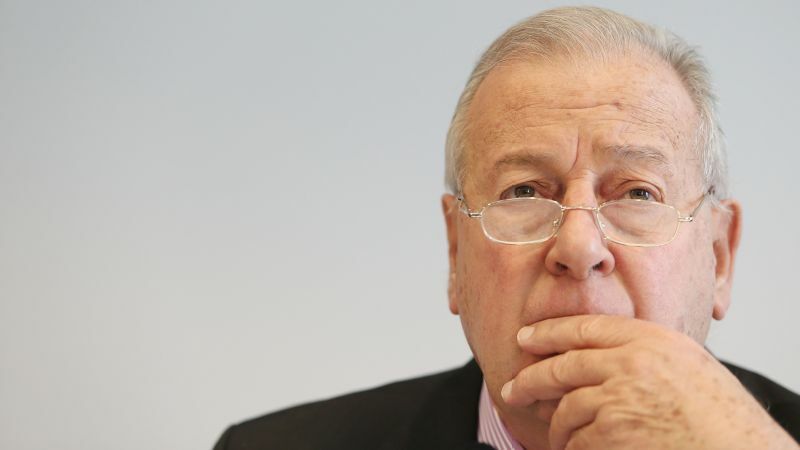 Then, other goalkeepers Griffin knew and coached were revealed to have cancer. 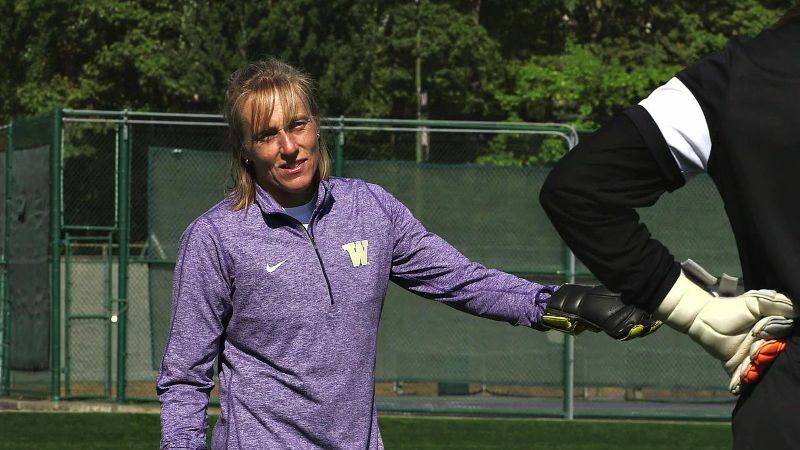 Former U.S. women's national team goalkeeper and current University of Washington goalkeeper coach Amy Griffin started gathering a list of athletes who had played on crumb-rubber synthetic turf and had been diagnosed with cancer. "I kept asking people, 'Don't you guys think it's weird?' Does someone think it's weird that all these goalkeepers have cancer ... and there are only one or two per team?" Griffin said. "I don't ever remember even hearing the word 'lymphoma' 10 years ago. And now the fact that I know so many people, and these aren't the people that I'm meeting at children's hospital or the people that are reaching out to me. These are people that, that I know." 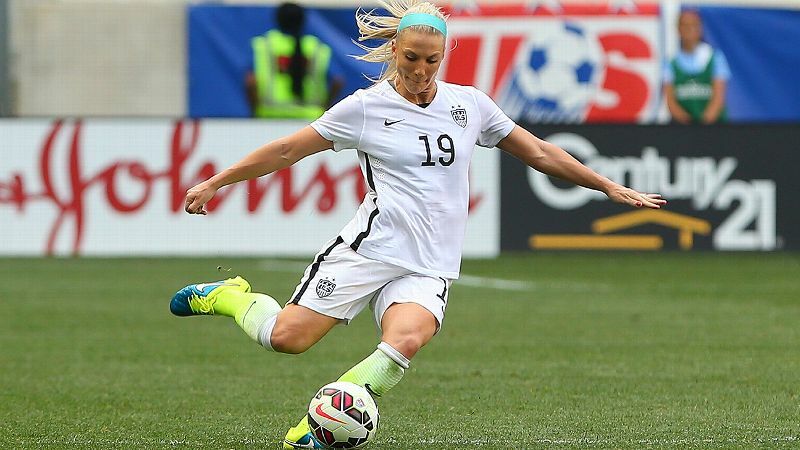 In 2014, the list was 38 players long -- most of them soccer players, and many of those, goalkeepers. Suddenly, with my own 8- and 6-year-olds playing on synthetic turf, pausing and playing on seemed irresponsible. I needed to know more. I needed to know what is in turf. So, I started digging. And I started talking to lots and lots of people in this area. Scientists, politicians, federal agencies, state agencies, the turf industry, parents, athletes, doctors, coaches, children and adults with cancer who played on turf, advocates on both sides, more scientists, more politicians, more agencies. You get it. And one year later, our E:60 story, "Turf Wars," aired. The day following the E:60 premiere, Sen. Richard Blumenthal (D-Conn.) and Sen. Bill Nelson (D-Fla.) also said they wanted to know more. 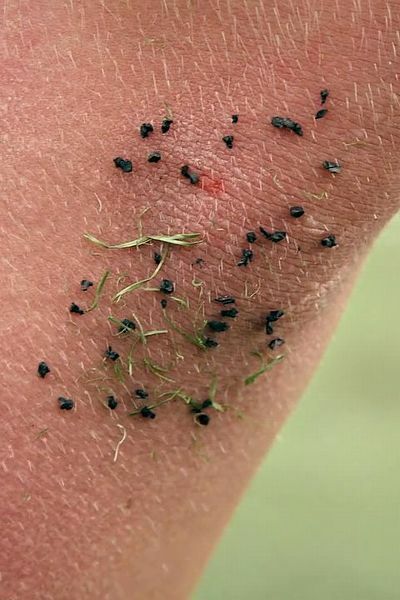 They demanded an independent federal investigation into the health risks from children's playgrounds and artificial turf fields made with crumb rubber. As I have learned in this year-long journey, Congress asking questions is the most important way (some will argue the only way) to persuade federal agencies to move on this turf issue. I kept asking people, 'Don't you guys think it's weird?' Does someone think it's weird that all these goalkeepers have cancer? How this is not a priority for our two federal agencies who have historically dealt with synthetic turf fields and children's health -- the Environmental Protection Agency and Consumer Product Safety Commission -- is beyond my pay grade and comprehension. Griffin's list of athletes with cancer who have played on synthetic turf now stands at 200 athletes, 158 of whom are soccer players. Of those soccer players, 101 are goalkeepers. Eighty of the athletes on Griffin's list have some form of lymphoma. Dr. David Brown, a public health toxicologist who spent over a decade working at the Centers for Disease Control and Prevention, told me, "You should never get more lymphomas than leukemias. Leukemias are the most prevalent cancer in that [younger] group, and [Amy's list] has more lymphomas ... her ratios are upside down." When I asked Brown what that signaled to him, his response was, "It signals that there's a chemical involved." So back to my original question: What is in that crumb rubber that makes up the infill for synthetic turf fields? In the early 1990s, the U.S. had a major waste disposal problem: used tires. They were unsafe for landfills because of their chemical make-up, toxic flammability and attractiveness to mosquitos. As a result, millions and millions of tires were piling up. Just to give you a sense of how pervasive the problem was, the Rubber Manufacturer Association's 1990 Market Report on Scrap Tires in the U.S. stated, "Approximately 175 [million] to 205 million scrap tires are added to landfills or stockpiles each year. The existing inventory of scrap tires in stockpiles is estimated to exceed 2 billion tires." Federal and state governments were looking for alternative ways to recycle used tires. As a result, the crumb-rubber industry was born in the early '90s. The crumb-rubber recycling process typically works like this: When you get new tires on your car, the tire retailer pays a hauler to take your used tires to a scrap-tire shredding facility. The facility removes the steel and fabric from the tires and shreds them down to smaller pieces of various sizes. Industry publication Scrap Tire News says there's no U.S. standard for processing crumb rubber, but that processors have adopted a "clean" standard that uses different machines to help remove contaminants and sort the pieces by size. Larger pieces can be used for construction projects or fuel; smaller sizes can be used for athletic fields and playgrounds. With estimates of between 20,000 to 30,000 tires being ground up per field, the crumb-rubber industry became a successful and productive way to recycle used tires. 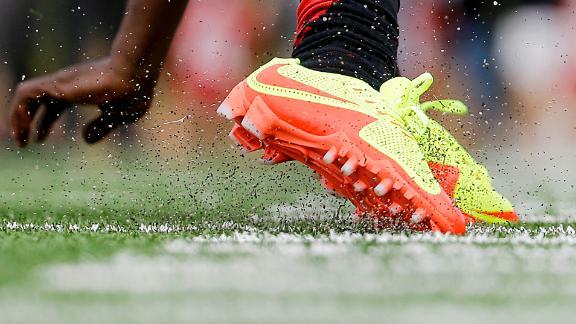 And now, according to Synthetic Turf Council research, the U.S. has over 12,000 synthetic crumb-rubber fields across the country in schools, parks and multisport facilities. In 2015, Brown was part of a study aimed at determining the makeup of crumb rubber. In the 14 samples tested, 12 known carcinogens were found. Half of the 96 chemicals found were not government tested. The study also found irritants and PAHs (known carcinogens). Which leads many parents and athletes to ask the obvious next question: Are these fields safe? Since Griffin's list of athletes with cancer has grown, you can imagine the emotion on both sides of the debate about the safety of synthetic fields. 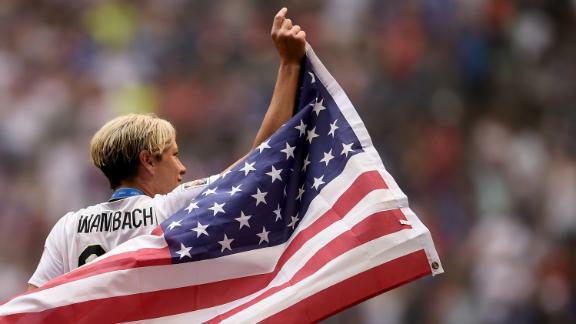 The Washington State Department of Health has Griffin's list and is trying to establish if it sees an increased rate of cancers among soccer players compared with the state overall. Those results are not expected to be available until winter 2016. Gina McCarthy, the head of the EPA, said it's worth looking into the health risks of the particles used in crumb rubber surfaces. The turf industry says more than 50 studies have found these fields safe and/or cited "low levels of concern." In April, Darren Gill, vice president of marketing for Field Turf, the biggest installer of synthetic turf in the United States, made a presentation to the Consumer Product Safety Commission. "We are 100 percent confident in what the available data tells us," he said, "that anyone using our products should rest assured there are no valid health concerns tied to artificial turf." To me, the key words in that statement are "available data." The one consensus among scientists in the turf field debate is that turf studies contain "data gaps." The head of the EPA, Gina McCarthy, acknowledged as much when I asked her what, if any, data gaps exist in the studies. Her response: "It's the exposure for ingestion. And I've seen the pictures about the abrasions from some of these fields and whether or not it can get in. Are those beads really entering the body and have an ability to break down and are connected with these types of health consequences? ... And it's worth looking at those issues. Because these are the issues that I don't believe we have systemically looked at for a long time or ever." Another common data gap I heard about during my reporting is long-term exposure on crumb-rubber fields and how difficult it is to replicate this exposure in a study. As many parents are aware, repeated exposure is a real issue. Children can be on these synthetic turf fields a few days per week for many years. These data gaps are, in fact, a large reason why the state of California is doing its third study on synthetic turf fields. This $2.9 million, three-year study, slated to finish in June 2018, is being performed by the California Office of Environmental Health Hazard Assessment (OEHHA). In October, Sam Delson, deputy director for external and legislative affairs at OEHHA, said this new study differs from the past two California studies. "We acknowledge that there were data gaps [in the past two studies]. We focused on inhalation and chemicals in the air. We did not address the issue of absorption in that study." Delson, who echoed other estimates that crumb rubber can contain about 250 chemicals, went on to say, "Even though there have been at least three dozen studies already done by us and other entities, we want to look at a wider range of exposure, a wider range of fields and conditions, ages of fields, weather conditions and locations. And we want to look much more closely at ingestion." We want to look at a wider range of exposure, a wider range of fields and conditions, ages of fields, weather conditions and locations. And we want to look much more closely at ingestion. Ingestion meaning inhalation as well as absorption through abrasions, cuts, eyes and other ways athletes are exposed to possibly toxic chemicals when interacting with the crumb-rubber surface. CalRecycle, the state agency responsible for recycling used tires, is funding this California OEHHA study, as it did in past California studies on synthetic fields. A statement on CalRecycle's website says, "The ongoing challenge for CalRecycle is to continue to develop viable markets for the remaining 6.3 million waste tires that are being landfilled annually." In an effort to recycle used tires rather than create environmentally troublesome stockpiles of tires in California, "the California Tire Recycling Act authorized CalRecycle to award grants and loans to businesses and public entities for activities that could expand markets for used tires." One such grant program is for crumb rubber. CalRecycle says it has awarded $2.78 million to schools and communities to install crumb-rubber turf fields since 2002. CalRecycle's 2015 Grant Program Report concludes by discussing the 2010 California study results: "At the conclusion of the study, OEHHA did not find any significant risk to human health (either cancer or non-cancer) from tire-derived crumb rubber used in artificial sports fields. Accordingly, CalRecycle believes that the use of recycled tires in playgrounds or crumb rubber used as infill for artificial sports fields is appropriate." The report goes on to say that "since 2001, CalRecycle has awarded, through various grant programs, approximately $45 million to cities, counties, and school districts for playgrounds, running tracks, landscaping, infill for artificial sports fields, and other uses." In a Nov. 4 letter to the Consumer Product Safety Commission chairman Elliot Kaye, Sens. Blumenthal and Nelson asked for an independent study to be done by the California OEHHA, outside of funding from CalRecycle, which "may have a special interest in finding beneficial reuse applications for scrap tires." Alongside the EPA, the Consumer Product Safety Commission has played a critical role in the turf-industry timeline. 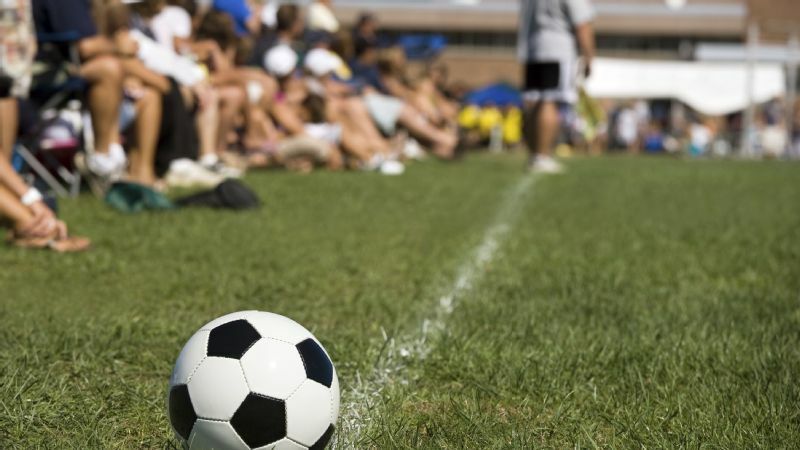 It issued guidance in 2008 regarding turf fields in a press release with the headline, "CPSC Staff Finds Synthetic Turf Fields OK to Install, OK to Play On." The turf industry has long promoted that both the EPA and CPSC endorse these fields as safe. Yet in 2013, at a CPSC oversight hearing, Kaye said, "That 2008 release does not reflect my views of the state of play. It's also important to note: that 2008 statement did not even reflect the technical staff's views at the time. There was a political effort to state something that may not actually reflect the state of play. 'Safe to play on' means something to parents that I don't think we intended to convey and I don't think we should have conveyed." The Consumer Product Safety Commission would not grant E:60 an interview, but Kaye provided this statement: "As a parent of two young boys, I am deeply troubled by the uncertainty that consumers, especially parents, experience when it comes to their children potentially being exposed to harmful chemicals in consumer products. "As long as I am chairman, CPSC will continue to work closely with our federal and state partners toward ending the uncertainty surrounding crumb rubber. I cannot guarantee a clear answer will emerge. I can only guarantee we will keep working at it with our federal and state partners." Meanwhile, the debate on field safety continues. The biggest challenge to creating a standard of safety for the entire country is the many variables involved. With no mandated industry testing, the unknowns on each field are widespread: What types of tires are in the crumb rubber? Where did they come from? How old are those tires? How old are the fields, and what is the climate in which they're located? What chemicals are in the green plastic turf blades? The list goes on. When asked whose responsibility it was to prove the safety of these fields, EPA administrator McCarthy said, "I think it's all of ours, and EPA included." Crumb rubber fields are used on all levels of play, with some schools and communities getting grants to install the surfaces. What Will Our Risk Threshold Be? "We [in the U.S.], for the most part, operate under the principle that your chemical is innocent until proven guilty," said Jeff Ruch, an attorney with Washington, D.C.-based environmental group PEER. "It goes into the stream of commerce and only if it produces a body count is there then any regulatory response." It's worth noting that I was told several times that this is how most products operate, outside of the food and drug industry, in the United States. Crumb rubber, Brown said, "came in the back door. And the back door was that we had tires we needed to get rid of and we wanted a process that would allow us to get rid of them. So we went to people who knew how to re-process things and create alternative uses for it and, because it was a federal project, people felt they were safe. As I watch my kids play on fields and playgrounds with crumb-rubber surfaces, I ask myself why there is there no clear, independent voice that tells us the reality of the situation -- that there is uncertainty. "But the people who evaluated the safety were not people who had done public health. It was engineers and guys interested in getting rid of waste tires." Meanwhile, Griffin's list of athletes with cancer who have played on turf fields continues to grow. Besides soccer, Griffin has five other sports represented on her list: football, lacrosse, baseball, field hockey and softball. The next largest segment of athletes on her list after soccer players is football players; 18 are on her list, from youth to the pro level. As state and federal agencies grapple over the potential for risk associated with these fields, parents, like me, are still left wondering about the safety of these fields. As I watch my kids play on fields and playgrounds with crumb-rubber surfaces, I ask myself why there is there no clear, independent voice that tells us the reality of the situation -- that there is uncertainty. That there are gaps in the scientific data. That studies have not properly looked at all the different exposure pathways over extended periods of time. I understand every parent has a different risk threshold. And I realize life is full of risks, even including harmful chemicals that we interact with on a daily basis. As parents, we each have to decide what is best for our children. We all can agree we want our kids active and moving and healthy. 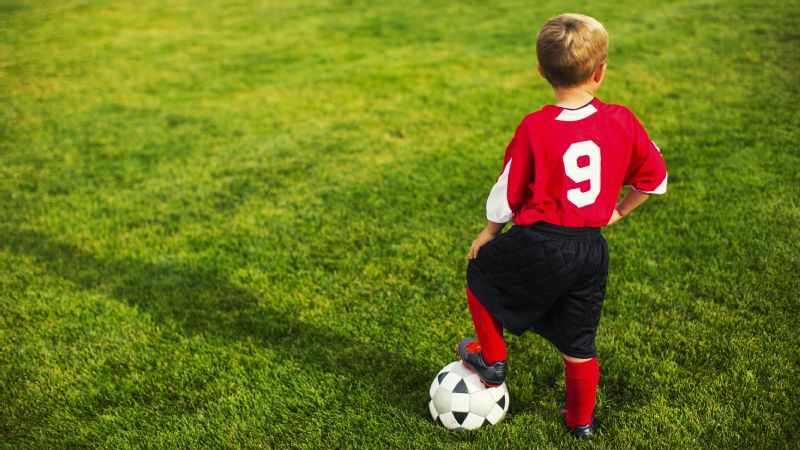 But we also have a right to know whether the turf fields our kids are playing on contain harmful chemicals. The reality is we are not entirely certain of the safety of these fields. Don't we owe it to every parent out there to at least tell them that? Why is there no sign warning me of the potential danger in these fields when the very workers who put these fields down are advised to wear protective gear such as gloves and respirator masks? There are labor laws that mandate warnings to workers. There are guidelines about the installation of crumb-rubber infill specifically, complete with lists of carcinogens specifically noted in that crumb rubber. Don't our kids who are playing on these fields deserve that same consideration? Why is there no warning to at least wash your hands after playing on these fields? And given how vulnerable children are to toxic exposure, I watch with angst every weekend as I see young children being, well, young children -- rolling in the turf, lying on the turf, building "mountains" out of the pellets and even having picnics on it. Because that is what children do. They interact with the environment in a wonderful, curious way. They don't know any better. But we as adults sure should. Science, as we have been told over and over, takes a long time. But who, in the interim, is going to help us understand the risk involved? It is time for a federal agency to step up. Our communities deserve that, and our kids certainly deserve better.